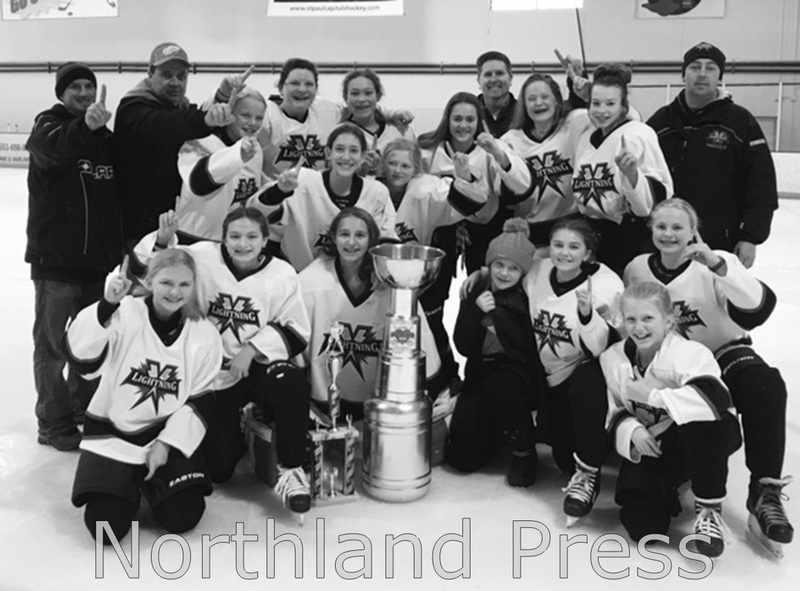 Northern Lakes Youth Hockey Association’s 12U Girls took home the Championship trophy on Sunday, January 20 in the Heartbreaker Tournament hosted by the St. Paul Youth Hockey Association. The team went undefeated beating Hopkins-St. Louis Park 4-2, Apple Valley-Burnsville 6-5 and finally Lakeville Black 2-1 in OT in the Championship game. Northern Lakes Youth Hockey Association works to promote a fun, fair, and safe environment that maximizes participation and improves players' skills while developing sportsmanship, teamwork and self-confidence. Northern Lakes Youth Hockey Association is a non-profit 501(c)(3) volunteer-driven organization serving 250 players across the school districts and communities of Aitkin, Crosby-Ironton, Crosslake, Pequot Lakes and Pine River-Backus.